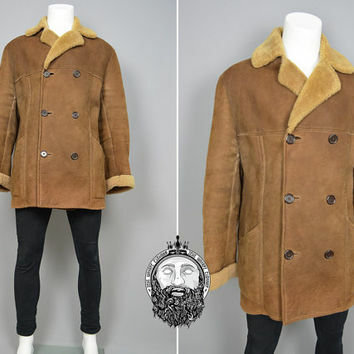 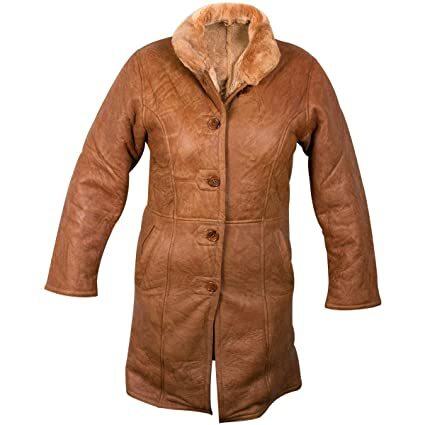 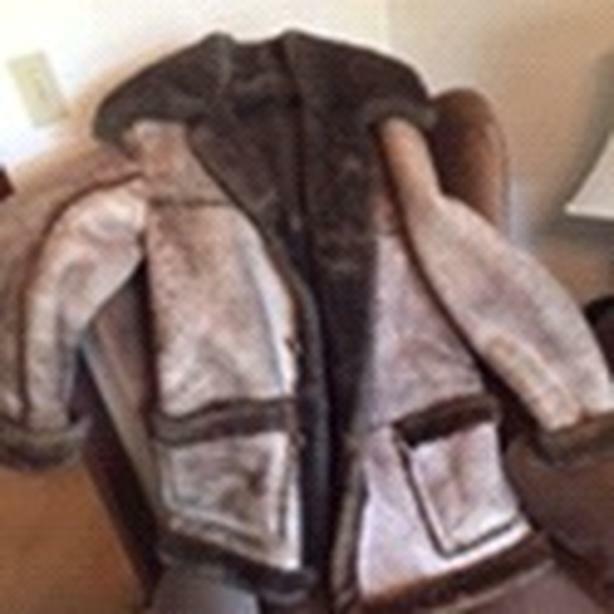 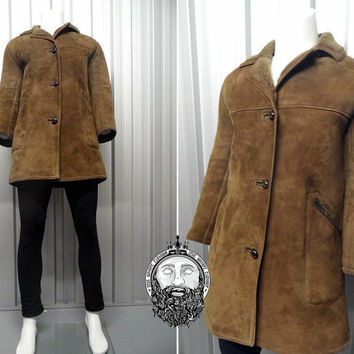 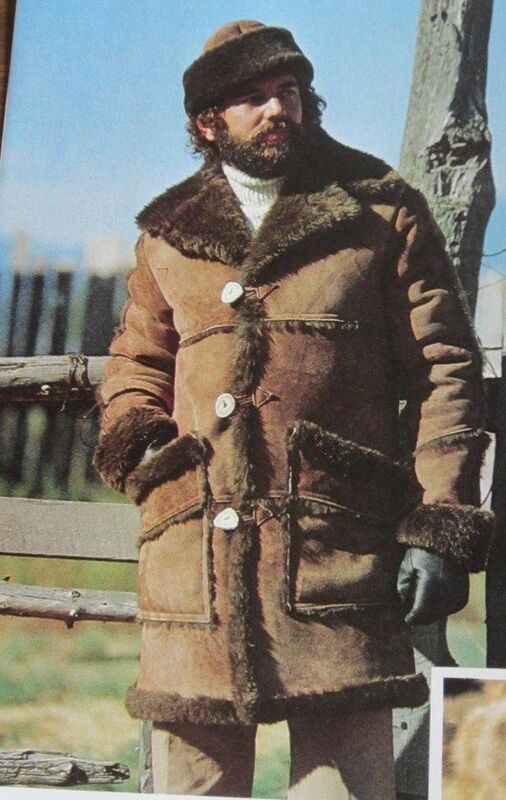 100% Genuine Sheepskin and Made in England Size L (Approx) Chest 42\”, Length of sleeve from under arm 16.5\” and Length of coat from nap of neck 30\”. 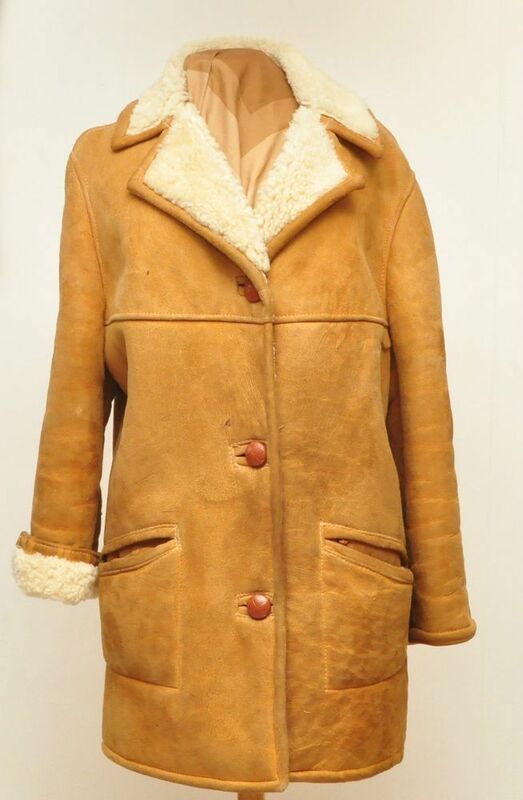 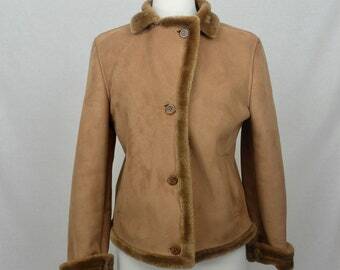 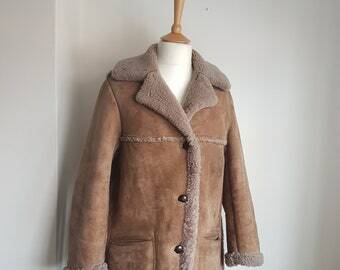 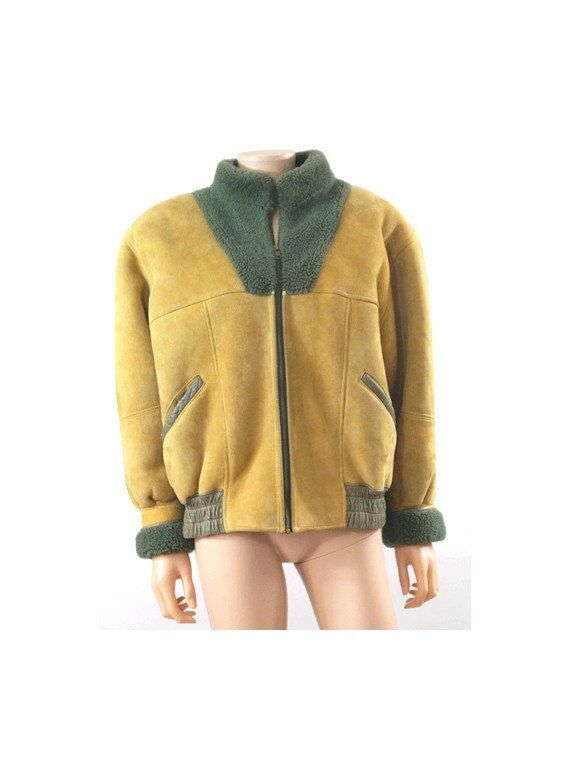 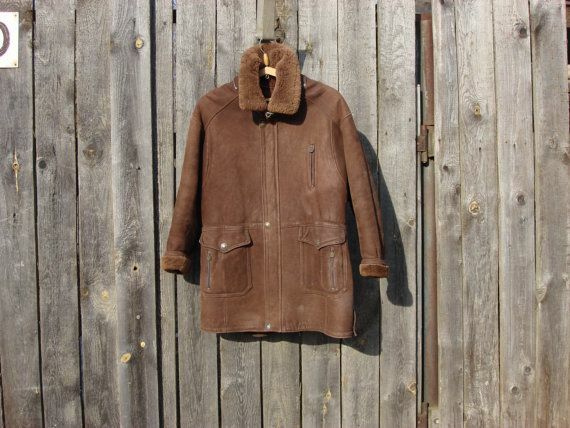 Original 1970-1980’s sheepskin coat. 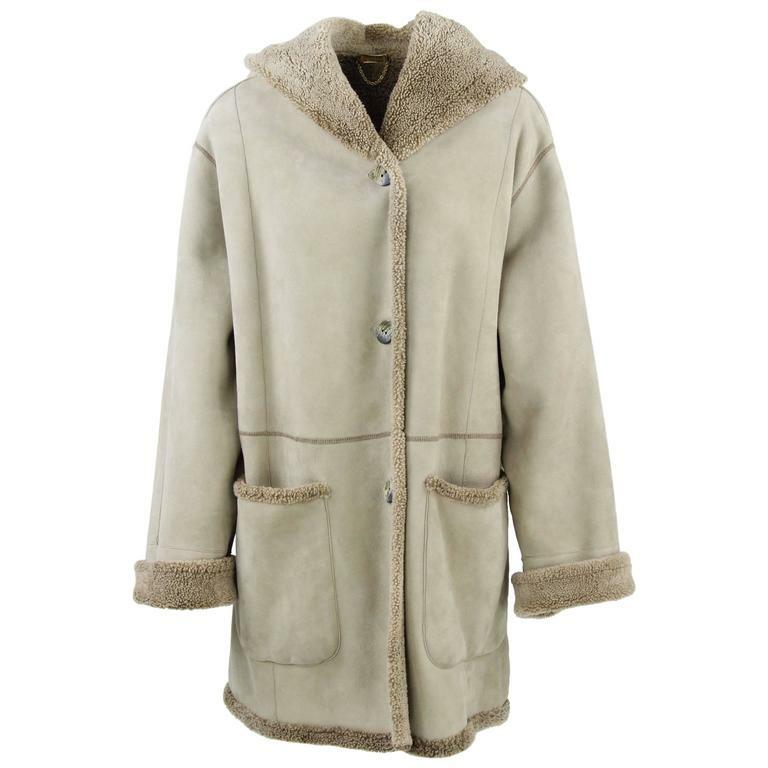 Pretty heavy/warm, fits around Unisex medium/large.